The neighborhoods and the biophysical, political, and cultural environments all play a key role in affecting health outcomes of individuals. Unequal spatial distribution of resources such as clinics, hospitals, public transportation, fresh food markets, and schools could make some communities as a whole more vulnerable and less resilient to adverse health effects. This somber reality suggests that it is rather the question of "who you are depends upon where you are" and the fact that health inequality is both a people and a place concern. That is why health inequality needs to be investigated in a spatial setting to deepen our understanding of why and how some geographical areas experience poorer health than others. This book introduces how spatial context shapes health inequalities. Spatial Health Inequalities: Adapting GIS Tools and Data Analysis demonstrates the spatial health inequalities in six most important topics in environmental and public health, including food insecurity, birth health outcomes, infectious diseases, children’s lead poisoning, chronic diseases, and health care access. These are the topics that the author has done extensive research on and provides a detailed description of the topic from a global perspective. 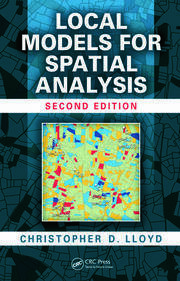 Each chapter identifies relevant data and data sources, discusses key literature on appropriate techniques, and then illustrates with real data with mapping and GIS techniques. 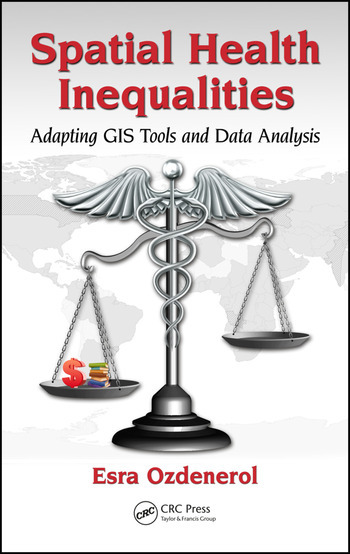 This is a unique book for students, geographers, clinicians, health and research professionals and community members interested in applying GIS and spatial analysis to the study of health inequalities. Esra Ozdenerol has been an associate professor in the Department of Earth Sciences of the University of Memphis since 2003. She is also affiliated with the Departments of Preventive Medicine and Health Outcome Policy of the University of Tennessee Health Science Center, Memphis, Tennessee. She is the director of the GIS Certificate Program at the University of Memphis. She also directs the Spatial Analysis and Geographic Education Laboratory in the Department of Earth Sciences. Dr. Ozdenerol was the associate director of Benjamin L. Hooks Institute for Social Change of the University of Memphis from 2010 to 2013. She obtained her doctorate in geography in 2000 and her master of landscape architecture in 1996 from the Louisiana State University. She received her bachelor of science in landscape architecture and agricultural engineering from the University of Ankara, Turkey. Before joining the University of Memphis, she was an assistant professor of architecture at the Florida International University in Miami from 2000 to 2003. Dr. Ozdenerol specializes in geographic information systems and has served as a technical consultant to various public, government, and international agencies. Her current research interests entail the use of the geospatial technologies (including geographic information, remote sensing, and cartographic and geostatistical analyses) in a diverse range of public and environmental health issues. Her latest publications involve studies about spatial health inequalities. "The book offers a spatial perspective to health inequality with the premise that health is a cross-product of people and places. 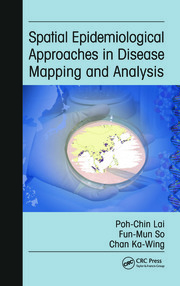 The author covers a wide range of diseases and illnesses, each of which she details data collections, spatial methods and GIS approaches with practical, compelling case studies. This textbook places firmly the importance of geographic contexts to spatial health, medical geography, and geo-medicine. 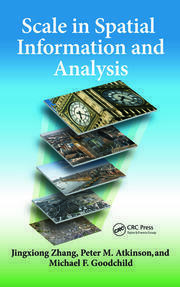 It is informative and instrumental for anyone who is interested in learning health inequalities and GIS applications." "I thoroughly enjoyed this addition to the GIS and Health canon. What is particularly nice is the focus on real-world examples allowing students to make the connection between technique, theory and actual need. The book is not overly dense on jargon meaning – it is also a good first exposure for readers with little or no GIS ability. Highly recommended as an entry point into the spatial health world." "Dr. Ozdenerol’s book Spatial Health Inequalities: Adapting GIS Tools and Data Analysis, provides an exceptional overview of the important role of GIS in regional, national, and international health system improvement efforts and delves deep into the ways that both communities and researchers can use GIS to track and improve health. Her important work is ideally suited as a primary text for a course on GIS and can readily guide students through the many ways GIS tools and data can be employed in applied public health and health care research."